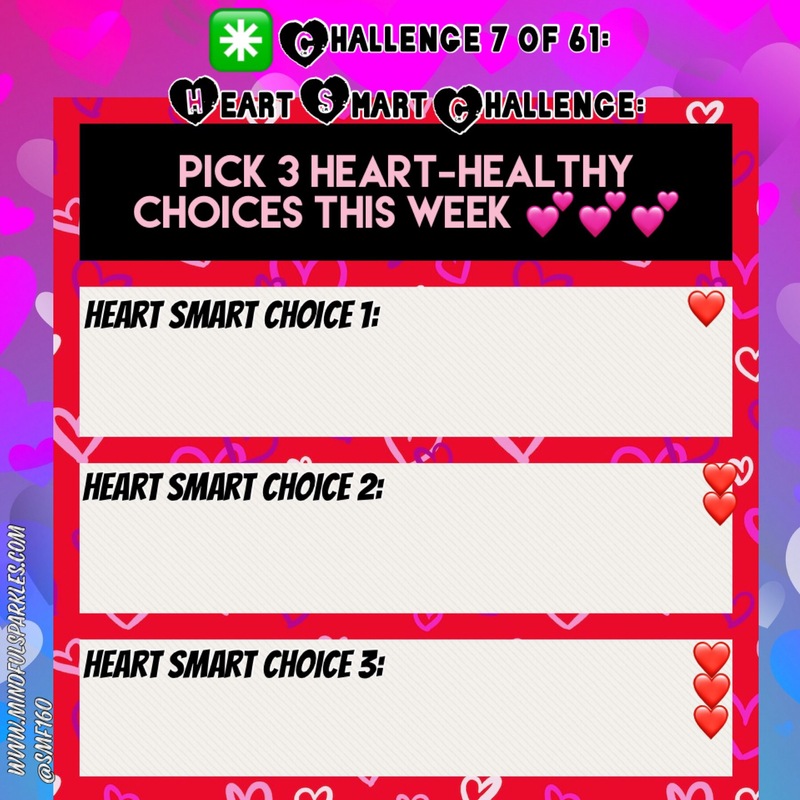 Why make 3 heart smart choices? Because making 3 great heart-healthy choices will likely lead to a lot more than 3 by the end of the week. The idea of a short term challenge is to be singularly focused on one goal for a short amount of time. Keep the Heart Smart Choice idea at the top of your meal planning this week. What IS a heart-healthy, heart smart choice? Well, many things qualify in the land of health and wellness. Keeping sodium intake to about an average of 1500 mg a day. Download the colorful tracking grid pictured above or use my February challenges worksheet by clicking here. The information on heart-healthy choices is plentiful. Here are a few links for those who want to read more.